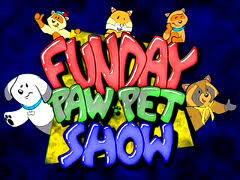 It was a shock for me to read on the Funday Pawpet site; because of the lost of fur stream and the never ending copyright bureaucracy in trying to keep up with licensing and not getting flag, they decided to end the show after almost 18 years. Now at first I thought the Pwapets show could done a lot to rectify the issues. They could retool tool show to rely less on copyrighted media. The fandom has grown in 18 years; they could find talented furry writers to help with scripts. They could even sell the show or invite others, transition new people, and a different studio as they transition out. Then it hit me: 18 years is a lot of life to give up. I cannot image personal opportunities and relationships they may have put on hold to bring us a slice of furry zaniness every Sunday. Frankly the deserve retirement and a chance to move on to other interest. I was a regular watcher of the show most Sundays. However, alas living without a car and long public transportation commutes mean I could not watch all be the last hour. So thank you for 10 years reminding for the fun and creativity that reminds me each Sunday what the Furry fandom is about. So ’til we, meet again, Adios, Au Revoir, Auf Wiedersehn. Goodnight!! !